Our stylish clipboards are made of durable hardboard. 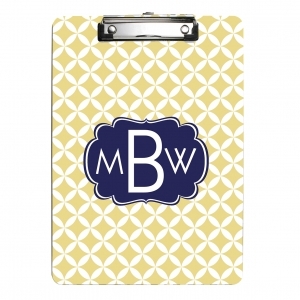 Each clipboard is printed on the front and back with your chosen pattern. 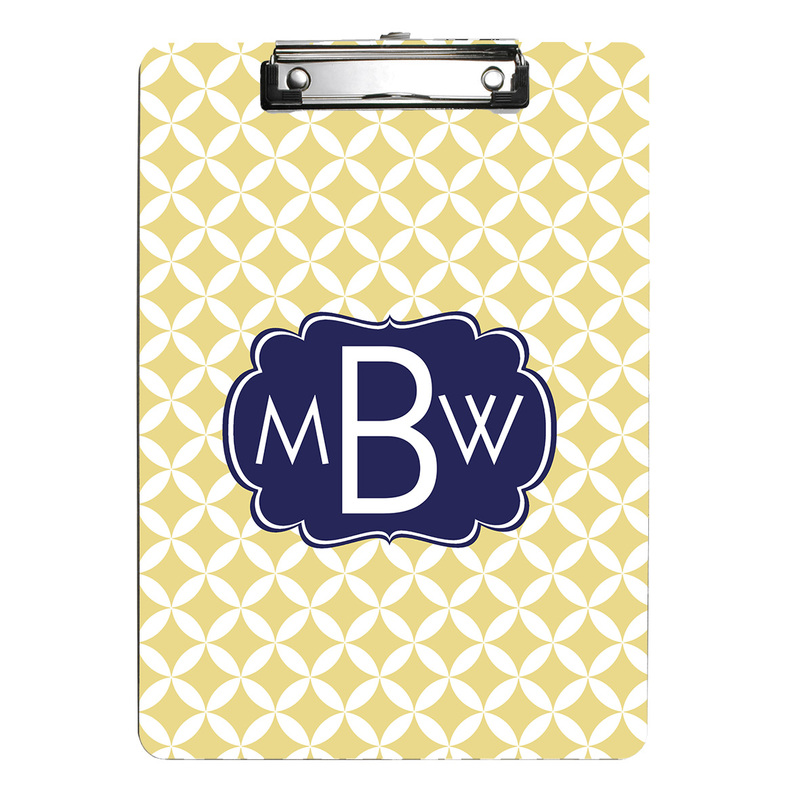 Monogrammed clipboards also make a great gift for teachers, students and anyone with a home office. Choose your pattern, color, font and style from our many available options. Make it yours by choosing your pattern, color, font and style from our many available options. Measures 9" x 12 1/2"
Not sure of your pattern/color choice? Add a proof to your order. Ordering a proof can add 1 - 2 days to your processing time but will guarantee that you are satisfied with the colors and pattern you chose for your item. Get organized...in style with our uber functional personalized clipboards from Lime Rikee Designs. Perfect for teachers, at the office or stay-at-home moms to keep the kids and house organized. Gift a clipboard to anyone who could use a little help getting organized.